1.Development balance snapshot function: You can set the block number or time of the snapshot, which asset of the snapshot, and the threshold of the asset balance. For example: in the 200,000 block snapshot SEER balance, only the balance must be greater than 100 SEER in the record. 2.Test network configuration: you can access the test network's web wallet http://123.206.78.97/. 3. Further check and verify the security of SEER in the test network for various security incidents. 4. Technical cooperation with dapp development includes: technical details discussion, app-specific test network configuration. 5. Configuration of the main network gateway. As of June 1, 2018, the SEER mainnet registered more than 10,000 people. At present, the BTS-SEER mainnet two-way gateway has been fully configured, and the ERC20 gateway is being configured and debugged. In order to ensure the fairness of users, it will be launched within one week at the same time as the ERC20 gateway. There will be a simple tutorial at that time, please rest assured. 1. Octopual announced airdrop rules for SEER holders. The octopus team will take a snapshot of the SEER balance held by the SEER mainnet account at 12 o’clcok on June 7, 2018, Singapore time, and then OPC to the user's SEER account at a 40:1 ratio of the snapshot SEER balance. Note: this airdrop is only for SEER mainnet account. 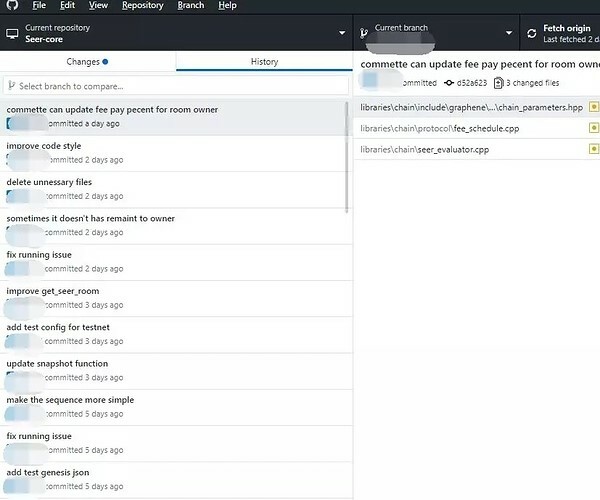 Users need to transfer SEER to SEER main network through gateway before snapshot time. At the time of the snapshot, the OPC will not be available to users of ethereum wallets such as SEER's on the exchange, bitcoin stocks and imtoken. Only more users using OPC to participate in various event crowdfunding in octopaul Dapp can make the ecological development better and create greater value. 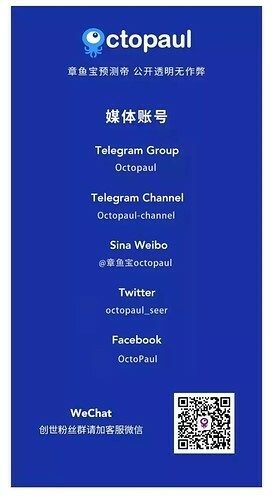 Therefore, the octopaul team will regularly carry out various forecasting competitions and welfare activities after Dapp goes online, take a snapshot of the OPC balance of the SEER main network account, and airdrop OPC to let everyone participate in the event prediction, and the specific rules will be released later. 2. Recent advances in football prediction DAPP octopaul based on SEER public blockchain. Octopaul will open the first batch of Token sales in the near future. The sales ratio is 1ETH=45000OPC. The sales platform and time will be announced in the octopaul public number, creation group and telegraph group. Octopaul will launch the first two exchanges before the World Cup, and revealed that the second batch of exchanges is expected to be launched during the World Cup. 3. SEER's strategic partner and Dapp-Powerfans announced their participation in the SEER node campaign. Today, Gedoumi announced that they will deploy a high-quality witness node on the SEER mainnet and participate in the SEER node campaign with the witness account gedoumi. Gedoumi will see the benefits of the witness node, combined with our resources, all to promote the ecological construction of SEER and future PowerFans, and improve the efficiency of the fighting industry. 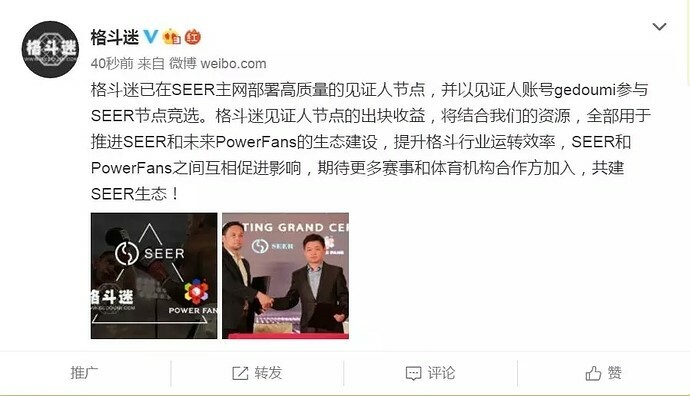 SEER and PowerFans promote each other's influence, and expect more competitions and sports organizations to join in and build a SEER ecosystem! At present, more than 10 institutional investors have contacted to express their willingness to participate in the SEER SuperNode campaign.